*Both lemon and RACV contribute to a more acidic stomach and more alkaline blood. Sugar on the other hand does the opposite. It weakens stomach acid and makes your blood more acidic (ie inflammation)! Drink first thing in the morning. Don't use cold water because it's constricting to the stomach and body. Room temp or warm is fine. Cut back on the acid or add more water if burning. But it should not burn, though tingling is normal. Although the vinegar option may sound harsh, many clients prefer that over the lemon. I prefer the RACV tool. It doesn't need refrigeration so you can leave it out as a reminder and it has a sweet aftertaste (once you get used to it). Cut an organic lemon into 6 wedges. Start with one wedge and squeeze out as much juice as possible into a large glass. Pour warm or room temp water (10-16oz) over juice. Can also be made as a tea using hot water. The lemon might tingle but it should not burn. Add more lemon or more water as needed. 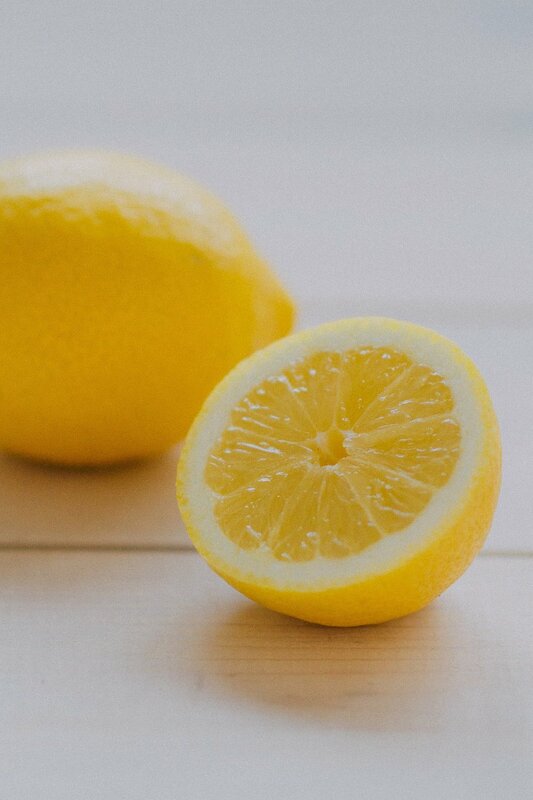 Work up to 1/2 a lemon in 16oz of water over weeks/months. Buy organic RACV (should say 'raw' and/or 'with the mother' on the label, do not buy pasteurized). Dilute 1/4 teaspoon RACV in 10-16oz of warm or room temp water. Drink first thing before food or other beverages. As your stomach acid improves over weeks/months you can work up to 1 tablespoon in 16oz of water. Braggs is a very popular brand but there are others out there too. It’s sold at Whole Foods, Fred Meyers, Safeway and I even found a 2-pack of a different brand at Costco. You should see noticeable improvements in 1-2 weeks. Initially it can take some getting used to but once you do you won't go back! I even take my RACV with me when I travel. Important note: For those who already have acid reflux, you must start really, really slow. Do not use this method if you have a stomach ulcer. heal it first before you introduce more acid. WANT MORE? READ THE 3 EASY WAYS TO IMPROVE THE MOST IMPORTANT PART OF YOUR HEALTH.